Every morning on my commute to work, a firsthand view through my windshield is the global headquarters of a company that's been a part of my life every day since age 5. One that touches countless diabetic lives throughout the world. This is Eli Lilly and Co., based in downtown Indianapolis. My office is located about a mile from this corporate headquarters. Driving north on Interstate 65, the building is a fixture on the Indy Skyline and it beckons to everyone with an American flag stationed on the rooftop. Navigating the bend once merging onto Interstate 70W, the building moves from the windshield to the passenger-side window and waves as I pass by before leaving the freeway and moving on past McCarty Street where it's stationed. Off to the left is Lucas Oil Stadium where the Colts play (also where March Madness 2010 comes to town!). Any diabetic knows the significance of this corporation, born in May 1876 when Col. Eli Lilly founded the company here. It's since evolved into the 10th largest pharmaceutical giant worldwide, and is one of the Biggies in the Diabetic Insulin World that's produced hallmark D-Drugs such as Humulin, Humalog, and Glucagon that live in so many of our butter compartments. Of course, the company's impact goes far beyond diabetes - it can boast being the first to mass produce penicillin and being the world's largest maker and distributor of psychiatric meds such as Prozac. On the D-front, each year Lilly contributes countless hours and dollars to diabetes research, development, and management - roughly 7,000 people work in the research-end of Lilly in the U.S. and other countries worldwide, and that's just one small part of the larger Search for The Cure. More than 40,000 people work for Lilly across the world in eight countries, a company online annual report says. Throughout it all, Indy has been the global home for Lilly. Hallmarks of this can be found all over town, from the original building on Meridian that has a stone plaque on the wall noting the history (walk by it at least a couple times a week), and the Col. Eli Lilly Civil War Museum found inside the Soldiers and Sailors Monument on the Circle in the city's heart. Moving from Michigan to Indiana in 2004, I am now so close to this life-sustaning and significant part of my life. Aside from the limbs and organs in my body, Lilly has been a part of my life longer than anyone or anything since March 1984 when I was 5-years-old. Every single day since then, Lilly has touched me through one of its insulin varieties. That's more than my parents. More than my wife. My dog. My insulin pump. Clothes that have come and gone. Anything. I've had it injected or pumped into my system. All of that personal history means that Lilly earns the distinction of being my first Close to Home profile, something I hope to make a semi-regular, monthly part of The Diabetic's Corner Booth. From this little corner of my world, I hope to personally profile some businesses, industries, trends, or themes that hit "close to home" and mean so much for the Diabetes Community. Examples might be: Roche Diagnostics on the northside of Indy (host to the July 2009 Social Media Summit that I sadly missed), Elona Biotech that's proposing a generic insulin plant in the city I live, or the various Indiana-central diabetes camps statewide. Maybe others can mimic this effort, offering their own versions of this C2H through guest posts here or their blogs about D-Topics close to them - Minimed, Omnipod, Joslin, J&J-Animas-Lifescan, California research labs, firsthand looks at unique or novel aspects of nearby JDRF initiatives, etc. Possibilities seem endless... We'll see what happens. But first, this post is about Lilly. Recently in late February, I had my debut chance to step inside the Lilly headquarters. Though I've been so close for years, I'd yet to see it up close and personal. It was part of an initiative by the JDRF Indiana, which brought in Dr. Aaron Kowalski to discuss his intimate knowledge of the D-Research and Artificial Pancreas Project. Dozens attended, and it was very informative. From the outside, the monumental building more resembles a Las Vegas hotel with huge fountain out front then a business. Inside, you realize how many intricate networks of hallways make this like a little city in itself. Walking into the meeting area for this JDRF event, you had to pass through a museum-style tribute to the Lilly Legacy and History, including many display cases and even a wall with century-old handwritten letters thanking Col. Lilly for his work on various fronts. Pretty cool to see all of that, and be inside the building where so much of that "magic" happens to influence our lives. Too bad there weren't any "free insulin samples" inside... /StartDigression Earlier in the day, I joked about the consequences of entering the Lilly building, waving my Minimed 722 around and demanding free insulin... But that was all in jest. I figured security, as well as the JDRF volunteers attending the event, wouldn't find the humor in it. Oh well. /EndDigression. While living in Indy doesn't have any direct corelation with Lilly's location here, it offers a sentimental connection to an industry leader and icon that's been such a part of my own life. And so many others. We couldn't be here without Lilly, which partnered with Banting and Best back in 22 and paved the way for diabetes to not be a death sentence as it had been. Throughout the decades, the company has been a part of significant milestones changing how we People With Diabetes live our lives and manage this chronic condition. Update: Now, while there's a certain sentimental feeling being here in Indy so close to Lilly, it must be echoed as Scott Strumello notes below that Lilly does illustrate a history lesson, as well - that it's share of the U.S. insulin market has fallen dramatically in just the past 15 years. From #1 with 83% back in 1995 to about #3 now with about 40% of the market share. Yes, it no longer produces insulin here locally and has outsourced it - even as the whole biotech insulin market continues to emerge. And yes, the market change and profit-driven focus seem to indicate that Lilly has seeminly thrown "diabetics under the bus," as Scott writes, even though it did make it a top five priority more recently and continues on some key partnerships that have the potential to change the diabetes dynamics. Despite all this more modern, that history makes it difficult to look past the honor of what the company has provided for me and all diabetics. (End of Update). So, this is a personal online thank you to Col. Lilly and those who've since carried on that Legacy that is helping us get closer to The Cure. We couldn't do it without you. So, thank you, Eli Lilly. Thank you. Let me know if you have any thoughts on other Close To Home posts that might be relevant in my Indiana vicinity, or something you might be willing to post about. Always open to comments, criticisms, or just plain ole' crazy rants. All are welcome! Today, Lilly's "leadership" in the field of diabetes care is really more a history lesson. For example, as of September 2005, Novo Nordisk had overtaken Eli Lilly & Co. in as the market leader in the U.S. insulin market based on data for total insulin sales volume gathered by IMS Health. Part of this is the fact that Lilly does not even offer a long-acting insulin analogue whereas both rivals Novo Nordisk and Sanofi Aventis do, and most pharmacy benefits managers (PBMs) prefer to minimize the number of vendors they have to deal with whenever possible. According to the Indy Star, Lilly's share of the U.S. insulin market has fallen from #1 in U.S. with about 83% share back in 1995 to #3 today, with about 40% share, give or take a few percentage points in any quarter. On January 5, 2006, Lilly announced that it would halt construction of a brand new insulin plant in Virginia because they now anticipated being able to meet North American demand from existing facilities, notably it's tax-advantaged manufacturing facility in Puerto Rico which recently received a warning letter from the FDA for deviation from the Current Good Manufacturing Practices causing insulin lispro [brand-name Humalog] to be "adulterated" (which means unsanitary according to the section of the Federal Food Drug and Cosmtics Act which governs this). To top matters off, last year, Lilly announced it would shutter the last remaining Indianapolis facility that made actually insulin, and that it planned to outsource most manufacturing to contract manufacturers, notably Hospira, Inc. which has made vials of Humulin and Humalog since around 2004 or so. 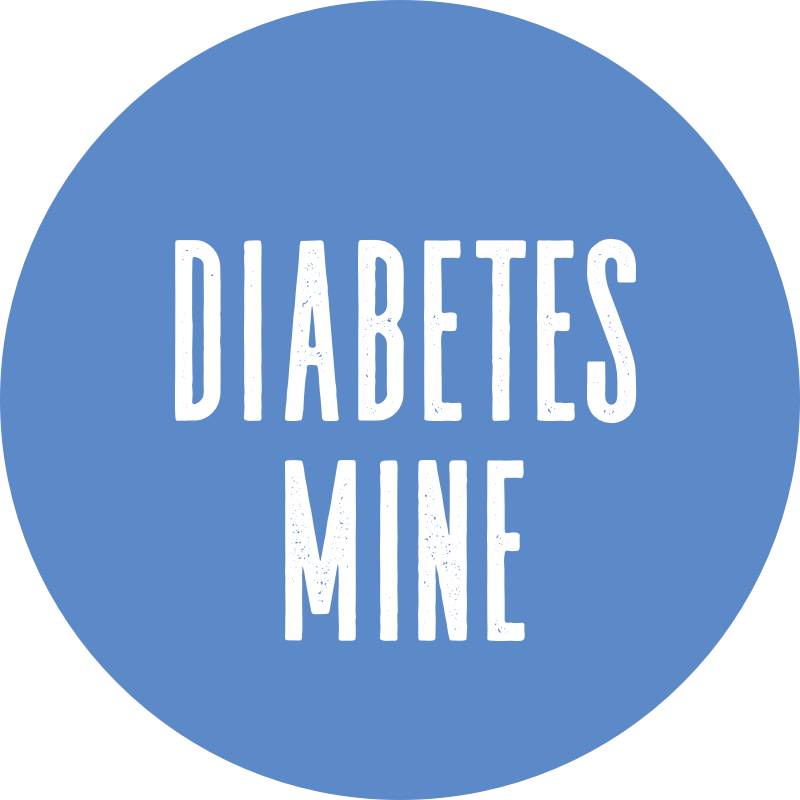 On Monday, September 14, 2009, the company did reorganize itself and the company did make diabetes one of it's 5 core lines of business, but Lilly has an awful LOT of work to do if it hopes to regain it's former leadership in the field. Perhaps its most promising products are all the results of partnerships, rather than being invented in-house, including Byetta LAR for type 2 diabetes (a long-acting form of an existing product) developed by San Diego-based Amylin Pharmaceuticals and teplizumab, which is an autoimmunity treatment for type 1 diabetes developed by Maryland-based Macrogenics, Inc. In fact, even synthetic "human" insulin was the result of a licensing arrangement with Genentec (now a wholly-owned subsidiary of Switzerland-based Roche), and many patients around the world still complain bitterly about hypoglycemia unawareness caused by the synthetic insulin products that did not exist with animal-sourced insulins. While that remains subject to some debate, the point is that Lilly has been more than willing to throw patients with diabetes under a bus for the sake of a few dollars, and it appears that type of customer abuse has finally caught up with the company. Let's hope that the Macrogrenics product can actually arrest autoimmunity and be a key element in a curative therapy, although truth be told, there are others that are as far along if not further along in development, notably GlaxoSmithKline's Teplizumab (which was developed by Tolerex) and could do the same thing. Thanks for your comment on my blog... I need to start an adult-D link section on my blog, so I can keep up to date with the ones who have been there and done that. 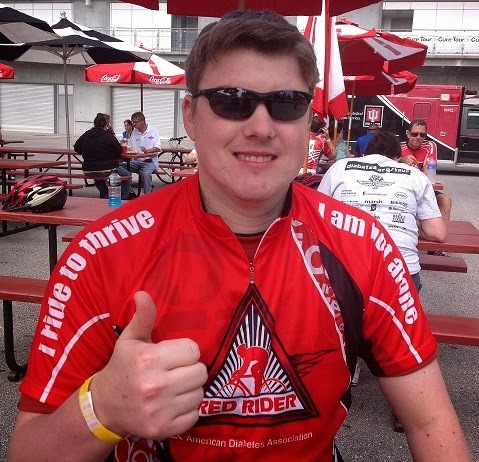 It is great to read of people who were diagnosed young, yet are living full and rich lives with T1. It gives me so much hope for my daughter. I'm a big fan of Eli Lilly because they ship our diluting supplies to our pharmacy free of charge. Elise is still on diluted Humalog, and if they didn't do this for us I would have to drive about 30 minutes each way every three weeks to pick up her prescription.